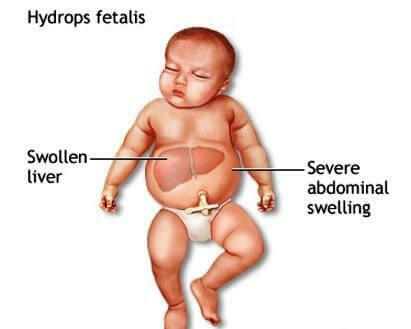 Hydrops fetalis which is also known as hydrops, is a life-threatening condition in which an abnormal fluid is accumulated in two or more fetal compartments such as skin edema, pleural effusion, and pericardial effusion. There is also a possibility that the condition may be correlated with placental edema and polyhydramnios. Immune – This happens when the immune system of the mother leads to a breakdown of red blood cells inside the fetus. It is considered to be the most menacing complication amongst blood group incompatibility for both the baby and mother. This kind of hydrops fetalis is not common due to the extensive use of Rh immunoglobulin in treating Rh negative women. 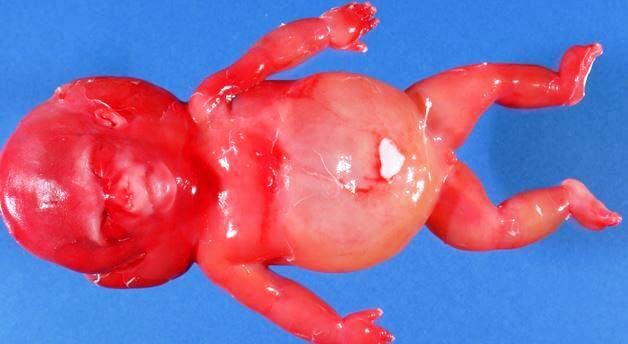 Nonimmune – This is the more typical type of hydrops fetalis. It can occur when the baby’s capability to control fluid is interfered with certain complications or diseases. Hydrops fetalis forms when an excessive amount of fluid departs from the bloodstream and goes directly into the tissues. A lot of diseases in different kinds and some complications could result to the condition. The type of hydrops fetalis will depend on the cause of the abnormal fluid. 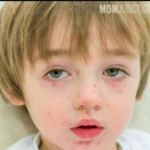 Immune hydrops – They might develop because of Rh disease that is present in the mother. If the mother is an Rh negative, but has an infant who is Rh positive, the mother’s immune system perceives the red blood cells of the Rh positive baby as foreign. 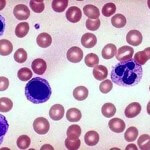 When these red blood cells are attacked by the mother’s antibodies, they are damaged and broken down, leading to anemia as well as total body swelling. Hydrops fetalis can form as the organs of the baby are not able to make up for the anemia. The heart starts to become weaker and large quantity of fluid develops in the baby’s organs and tissues. 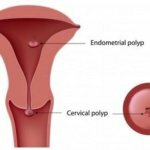 Ultrasound – It is an imaging technique that helps in diagnosing hydrops by showing large amounts of amniotic fluid, abnormally large placenta, and the fluid that results to swelling in the organs and belly area of the unborn baby. Fetal blood sampling – It is done my directly collecting fetal blood coming from the fetus. This is helpful for evaluating any signs of anemia and other problems of the blood. Amniocentesis (AFT) – A test wherein a small amount of amniotic fluid is taken for diagnostic testing. Exchange transfusion – Involves the removal of platelets or red blood cells and replacing it with blood products. It can rid certain substances that destroy the red blood cells in the baby’s body. Hydrops fetalis have a poor prognosis since this condition frequently leads to the infant’s death shortly after or before delivery. The risk is even higher for babies who are ill at birth or born very early. The rate of survival often depends on the cause and treatment of hydrops fetalis. 80% of cases are accounted for non-immune hydrops and the mortality rate is about 40%. The sequence of hydrops is changing resulting, with an estimation of two thirds are surviving. Abrams ME, Meredith KS, Kinnard P et-al (2007). 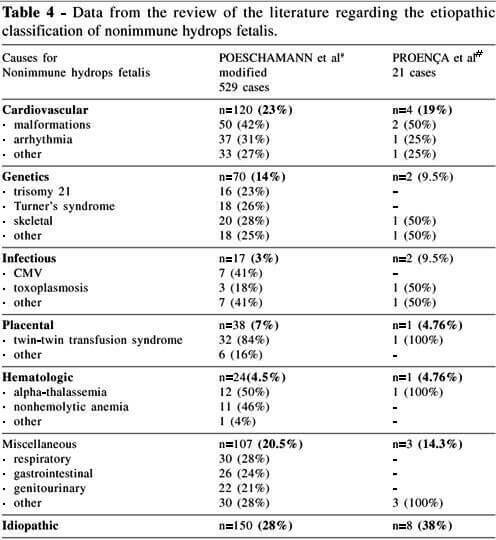 Hydrops fetalis: a retrospective review of cases reported to a large national database and identification of risk factors associated with death. Pediatrics. 120 (1): 84-9. Merz E, Bahlmann F (2005). Ultrasound in obstetrics and gynecology. Thieme Medical Publishers. ISBN: 1588901475. Entezami M, Albig M, Knoll U et-al (2003). Ultrasound Diagnosis of Fetal Anomalies. Thieme. ISBN: 1588902129.